Happy Halloween, everybody! I’m once again reaching into last year’s bag of goodies from Knott’s Scary Farm to bring you this photo from Elvira’s farewell season at the park. With a 21 year legacy of fun and fright-filled Halloween shows behind her, I count myself very lucky to have had the chance to see the Mistress of the Dark onstage before the end of her run there. 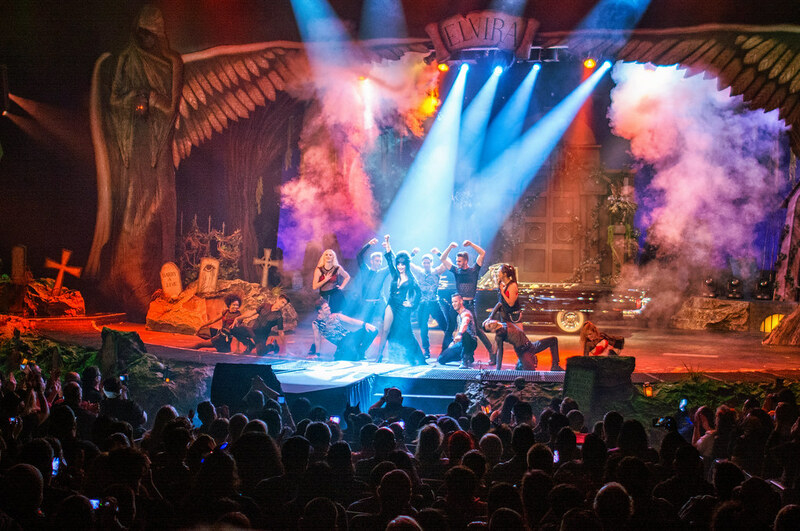 This entry was posted in Entertainment, Knott's Berry Farm and tagged concert, creepy, Elvira, haunted, Knott's Scary Farm, live show, scary, spooky. Bookmark the permalink.